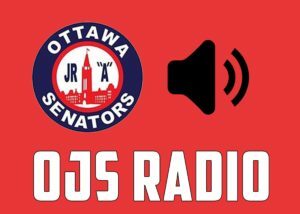 OTTAWA – The Ottawa Jr. Senators have signed defenseman Tucker McIntosh who is currently playing with the Upper Canada College Hockey Club of the Conference of Independent Schools Athletic Association. The native of Toronto, Ontario was a hot commodity in the CCHL and the OJHL, and finally decided to commit to the Junior Senators last week. More and more players from the GTA are joining teams in the CCHL every year, and McIntosh will now be one of them. Head Coach and GM Martin Dagenais didn’t have to think twice before offering a spot to the 5’11, 170 lbs, left-handed defenseman. After he practiced with the team earlier this season, they saw right away that he had special talent. Dagenais really likes the fact that McIntosh has all the attributes to become a solid two-way defenseman. McIntosh is coming to a team that stresses team defence, and he understands that. However, he does take pride in the intangibles that he can bring to the table. Like most players playing in the CCHL, McIntosh wishes to play in the NCAA one day, but first, he wants to show that he can be an impact player at the Junior A level. “My short term goals are to both have a successful first year of junior by hopefully wining the league championship, and having a strong year myself. At the end of my junior career, I would love to be able to play NCAA Div. 1 hockey at a school where I am most comfortable and believe it will allow me not to just grow as an athlete but as a student too. If after all this I can play pro hockey, that will be the cherry on the sundae”.